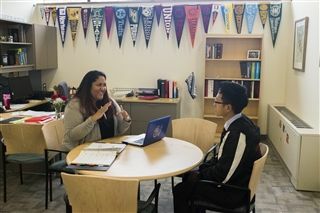 For many students, the college application process has become a grueling forced march: take as many high-powered courses as you can, prep hard for the SATs and ACTs, and assemble a long “brag list” of as many sports, clubs and activities as possible. Why this grinding ritual? Because that’s what many students believe “selective” colleges want to see on the applications of prospective students. Many colleges have taken up this challenge by starting to consider more carefully how students have demonstrated kindness, passion, and commitment to improving the lives of others. Being a good person is now more important to colleges than an activities checklist. Many students list a variety of occasional volunteer or community service activities on their college applications. But now colleges are favoring quality over quantity; they’re seeking out students who demonstrate a sustained and wholehearted commitment to a single project. They want to see students take ownership of one meaningful and consequential endeavor and lead it to completion, and students often devote their college essays to describing this experience. Colleges are most interested in community service involvement that stems from a student’s own authentic interests rather than from convenience or obligation. A student who loves animals or the ocean or sports, for instance, will find greater meaning in projects that involve these passions. In recent years, several Kingswood Oxford students where I work have devised and implemented service projects sparked by their own predilections. Last year, for instance, one senior pursued her interest in environmental sustainability by designing, constructing and maintaining an on-campus garden that continues to provide vegetables for the school’s cafeteria. Her classmate turned his love for classic cars into a kindness project by organizing a car show on campus and donating its admission proceeds to the American Cancer Society for colon cancer research. While it’s become common and even fashionable for students to take exotic service trips to faraway places, colleges are now just as interested in students who have made a difference in their own communities, whether it’s sprucing up a local playground, visiting disabled veterans, or addressing a pattern of bullying or social exclusion at their schools. An often hidden component of many students’ lives is their deep dedication to their families. They may be caring for younger siblings or grandparents, taking major responsibility for household tasks, such as cooking, cleaning or shopping, or working at jobs outside the home to provide needed family income. Ethical citizenship is manifest, not only in volunteer projects but also in a student’s daily interactions with friends, classmates, and adults. Is the student friendly, helpful and attentive to the needs of others on a day-to-day basis? College recommendations written by teachers, coaches, college counselors and employers often reflect a student’s day-to-day kindness.